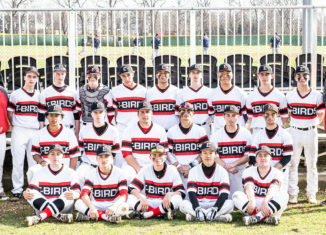 The varsity baseball team has started off hot, going 3-0 with wins against Hills West and Center Moriches. The opening day game was a rivalry game against Hills West. The game went back and forth with Hills East pulling ahead on a walk-off hit. Hills East went on to win their next two games, both with walk-off hits. This truly has been a whole team effort as players off the bench have often provided a spark for big plays. Two of the big game-winning hits were by Reis Henderson and JT Farnacci. In addition to some big bats, the pitching has also been very good with Steve Mariani and Andrew Ferber leading the way. This team has high hopes for the remainder of the season and the talent to accomplish their goals. Hopefully Hills East can continue to ride this hot streak and maintain this momentum.